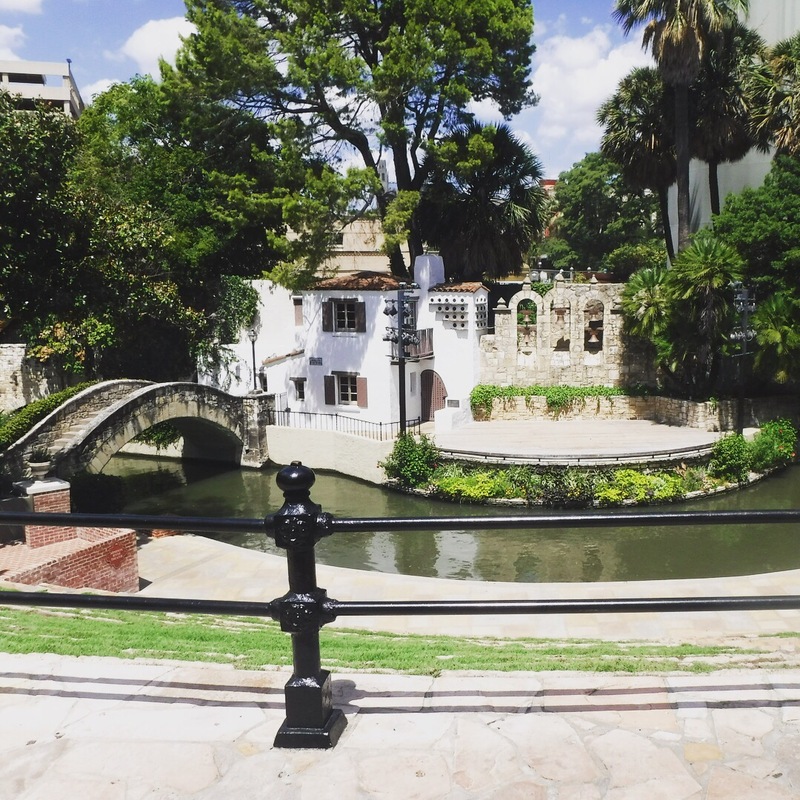 If you’ve never been to San Antonio, GO. It’s hot, sunny and seriously pretty, making it a perfect summer vacation destination (if you prefer a pool to the beach, anyway). I could walk along the Riverwalk for hours! 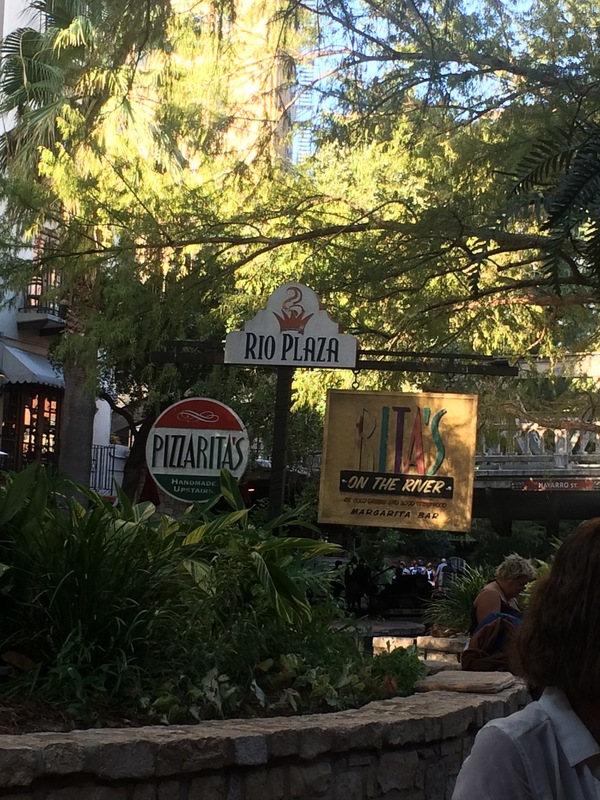 We entered the Riverwalk on Commerce Street and continued all the way around to do the full circuit. We came across a little art village called La Villita that was full of cute cafes and art galleries, and had a big grass auditorium on the river. Nothing was playing the day we were there, but I can imagine it’s a gorgeous place to watch a show! On our walk, we saw a sign advertising Free Tuesday’s at the Briscoe Western Art Museum from 4-9pm. We made a mental note to head back there that afternoon. 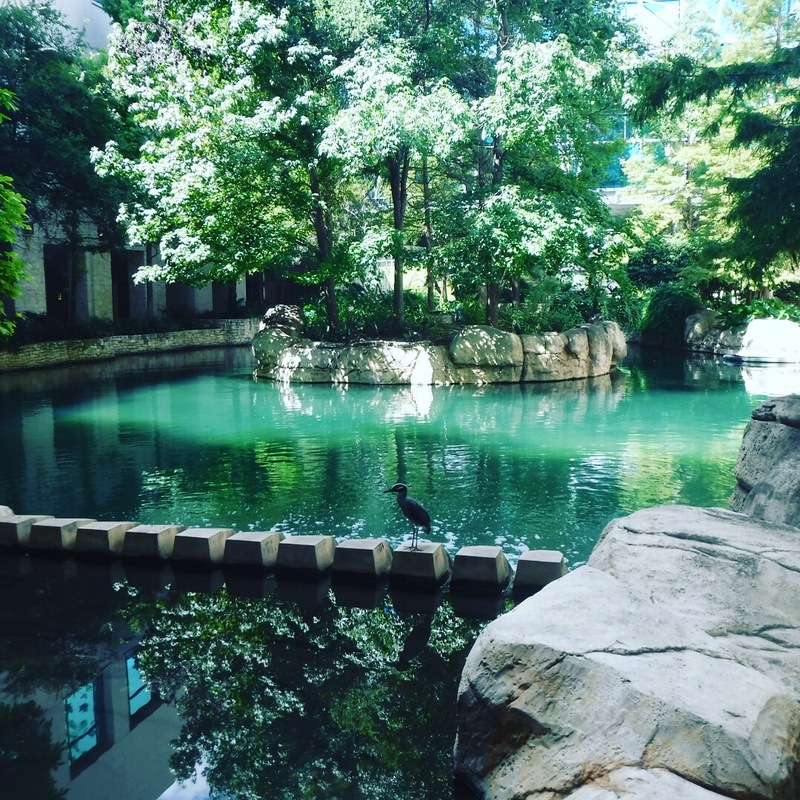 After a quick snack break in the mall for a bit of AC, we walked towards the Tower of the Americas and came across ‘The Grotto’, a quiet, peaceful part of the Riverwalk, and saw a blue heron sunning himself. 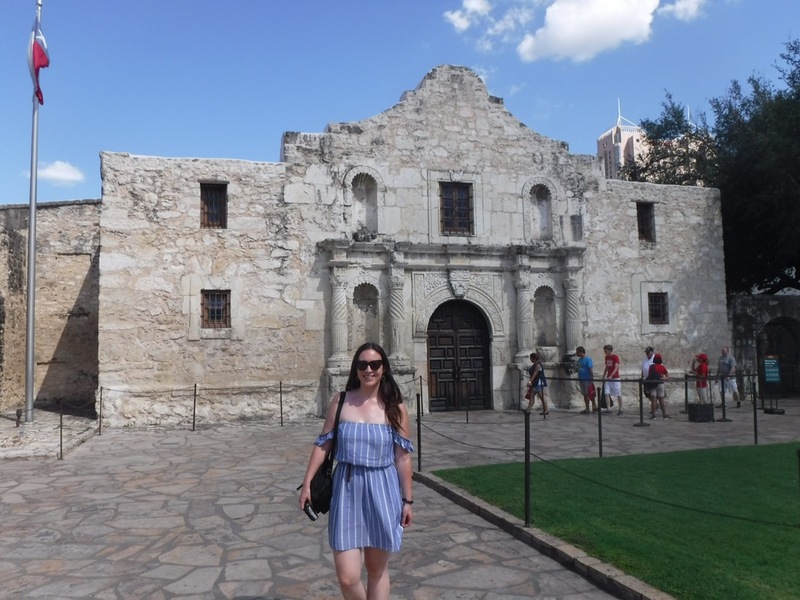 Next stop was the Alamo, a World Heritage Site that was the location of the Battle of the Alamo in 1836. There’s a museum inside and multiple places where you can watch informative movies about the history of the site, plus lots of cacti! I was incredibly impressed that it was all FREE! Definitely worth checking out. We were walking around town when we spotted a bustling bar down by the river with lots of twinkling fairy lights and servers wearing lederhosen. A sucker for fairy lights (and lederhosen), we had to pop in for a drink. 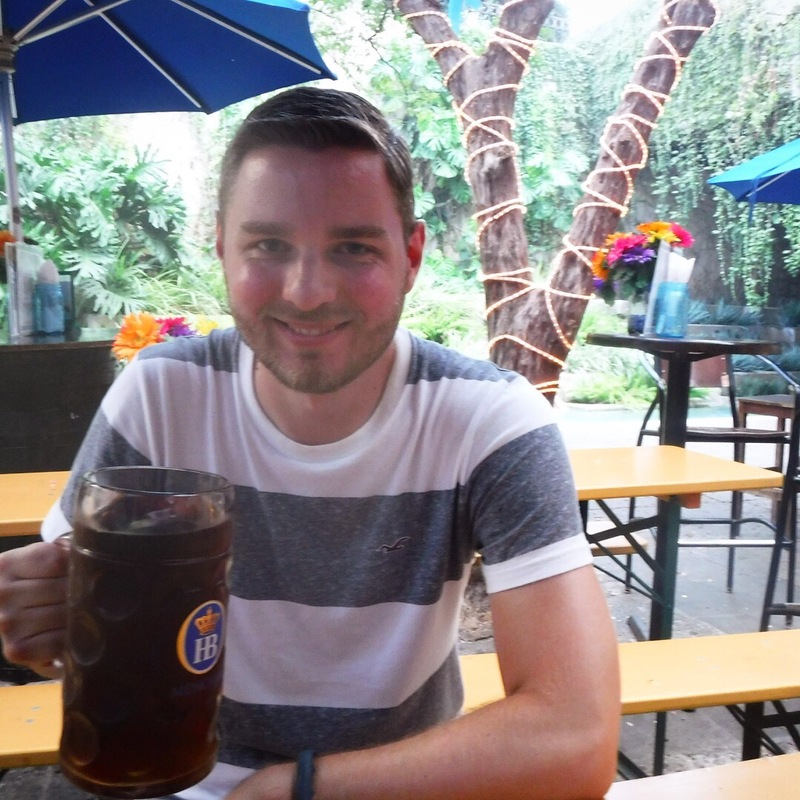 Their special was a litre of beer for $5.75, which Ewan, ever the bargain hunter, ordered, even though he didn’t really rate the beer that much. He still managed to get through the litre! 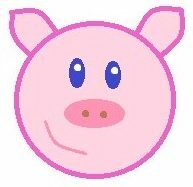 I had a glass of Riesling. Full of booze, we headed to the Briscoe Western Art Museum. Neither of us are particularly arty, but it was actually a really interesting place! It was only a short walk away from our dinner location, Rita’s on the River. Rita’s have a gluten free menu which is a little small but still great if you like Tex-Mex! 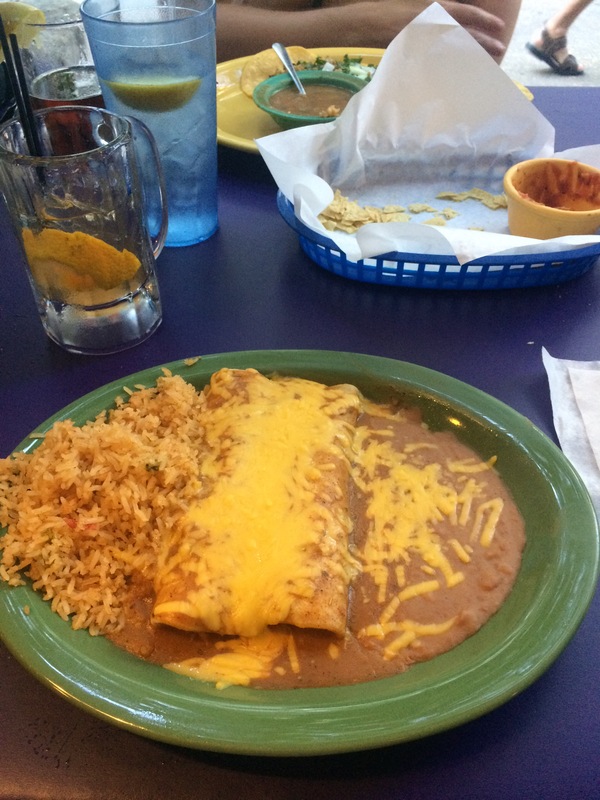 I went for the chicken enchiladas and they were super cheesy… which is a huge plus for me!